Eda Ranu says there won't be any water disruptions in the city as widely circulated on the social media and the mobile phone network. With politics and leadership being questioned in the country by boycotting of university classes, there were viral messages circulated through mobile phone texts and posted on social media recently advising that public services such as electricity and water were to be disconnected in support of the public protest planned for today. 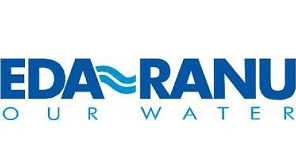 Water and Sanitation service provider in Port Moresby City Eda Ranu has come forward today to make a statement that it is not aware that they are not responsible for the circulated messages advising closure of water services in the city. Furthermore as stated by the Acting CEO of Eda Ranu Dr Fifaia Matainaho, Eda Ranu is not part of the unrest and therefore will continue to render its services to the public as a government owned organization. He says public should be comforted that Eda Ranu has no intention service disruption and disconnection will only be for those who do not pay their bills.